After this year’s general election, the UK government created dual Ministerial roles in the Foreign Office and the Department for International Development, combining diplomatic and development portfolios to encourage a cohesive approach to the UK’s international policy, especially towards fragile and conflict affected states. 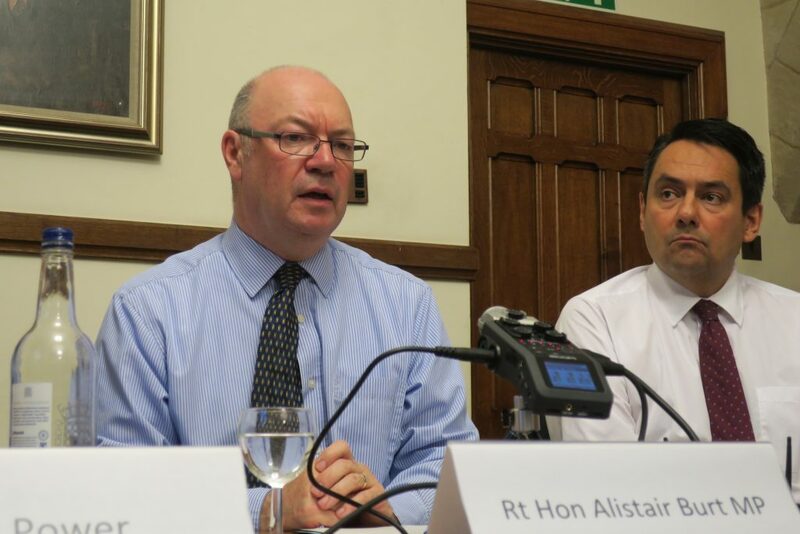 The interface between these elements of international policy was the subject of Global Partners Governance’s panel discussion, held in Parliament on 18 October, with leading remarks by Rt Hon Alistair Burt MP, Minister of State for the Middle East and North Africa. During the event, Chaired by GPG Founder/Director Greg Power, Minister Burt reflected upon his dual role as Minister of State in both the FCO and DFID, and considered the challenges, opportunities and tensions inherent in a role which combines development and diplomacy. Although still relatively uncommon in Whitehall terms, routine cross-department cooperation has been an established practice in UK Embassies around the globe for a considerable time, and the Minister reflected that there is much to be learnt in drawing out the practical experiences gained from Posts in ingraining this collaborative approach into everyday work. Furthermore, having one Minister with responsibility for two cross-cutting portfolios means that challenges can be analysed from a dual perspective, ensuring holistic actions which combine diplomatic and political work with development assistance. Reflecting more broadly upon UK development policy, the Minister stressed that effective and impactful assistance remains a crucial element of UK government spending, with the UK committed to making its annual 0.7% target. The UK has been particularly active in the promotion of the Sustainable Development Goals, especially SDG 16 which aims to develop accountable and inclusive institutions for governance. Despite working in often very challenging political contexts, positive results are being seen in freer and fairer elections, increased access to justice and property rights. Following the Minister’s reflections, Stephen Twigg MP (Chair of the International Development Committee) and Meg Munn (GPG Associate) responded. Mr. Twigg welcomed the creation of dual ministerial portfolios as a positive step in ensuring the effective translation of FCO and DFID policy into on the ground action. However, he cautioned that this should not be a step towards assimilating DFID into the FCO. 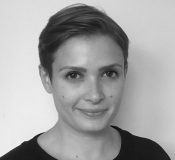 DFID places poverty reduction at the heart of its policies, a vital element, and this should not be compromised through cross-departmental working. Furthermore, he echoed the Minister’s comments on the key role played by the UK in working towards the fulfilment of the Sustainable Development Goals, especially SDG 16, and stressed the need to maintain this commitment. Indeed, governance is a thread which will continue to run through the International Development Select Committee’s work over the course of this parliament. 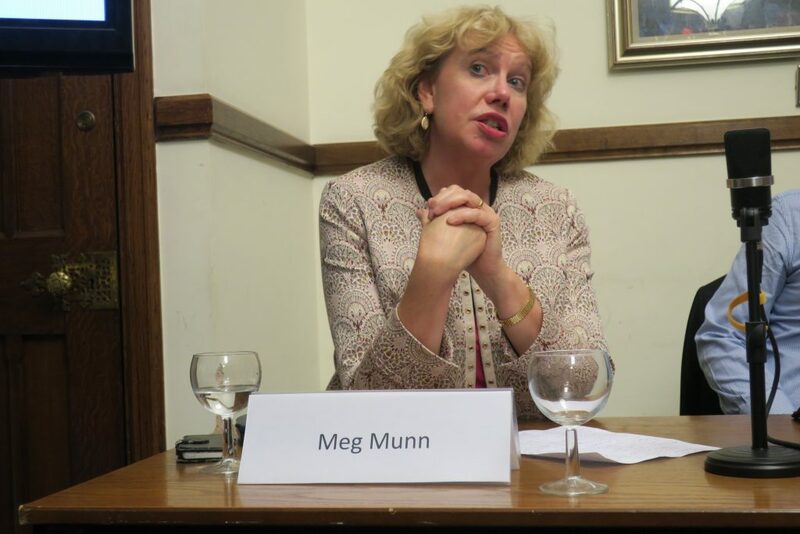 Ms. Munn responded by drawing upon her experiences both as a former Foreign Office Minister and as a consultant currently active in the development field. She noted her experience of siloed working within Westminster and the difficulties in encouraging a move towards a more joined-up way of working, echoing the Minister’s praise for Embassy experience in the field. She also raised concerns about complacency regarding ODA, stressing the need to continue targeted governance work especially in areas such as improving the oversight function of institutions. A dual ministerial portfolio brings challenges in developing and embedding collaborative ways of working. However, the on the ground benefits can be considerable, creating holistic solutions to problems in developing countries that address both diplomatic and development needs.